Thread: How did this happen ? Going through some Vegas photos that my wife took with her P7000, I noticed the double image on one of her photos. Since she is strictly point and shoot, it's nothing she did intentionally. Re: How did this happen ? The only thing that I can think of is that most Nikon's have a so called "Multiple Exposure" option - some with 2 and some with 3 shots. So, this would be a 2 shot multiple exposure shot ...and - when you do use it on purpose, it only does one set ...and you have to tell it again ...so that would fit here as well. Thanks. Must have been something like you said, even though it was not done intentionally. I hope you don't mind but I moved this thread since it wasn't really a photo critique request. My first thought was that it was shot through a window and the sphinx was a reflection. 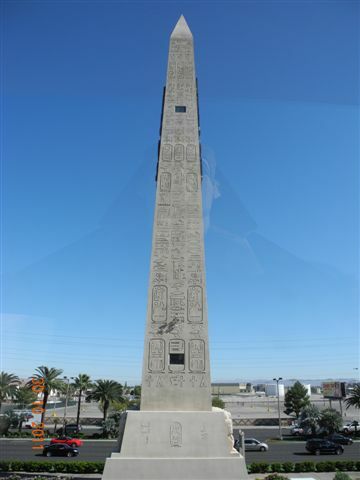 But if that sphinx image was shot right before the obelisk image, then llewpics is probably right. Maybe you should take a look at the camera menu and see if a double exposure is really possible and how it's done. That way you can show your wife how to avoid this mistake in the future. Hmmm yeah those are some pretty good looking photos. 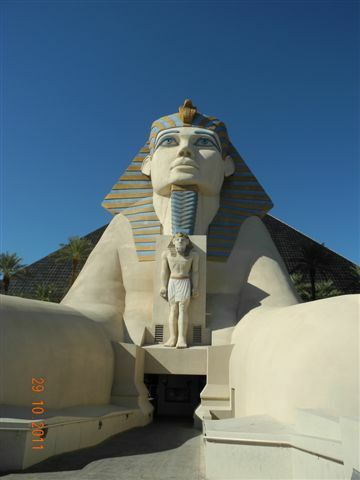 I do like how the sphinx looks so majestic in the photo and makes the viewer seem so much smaller than they felt before they saw it.